For the purpose of transparency, I'd best state that I actually had the privilege of attending this show as well as the Huddersfield gig a few days earlier. 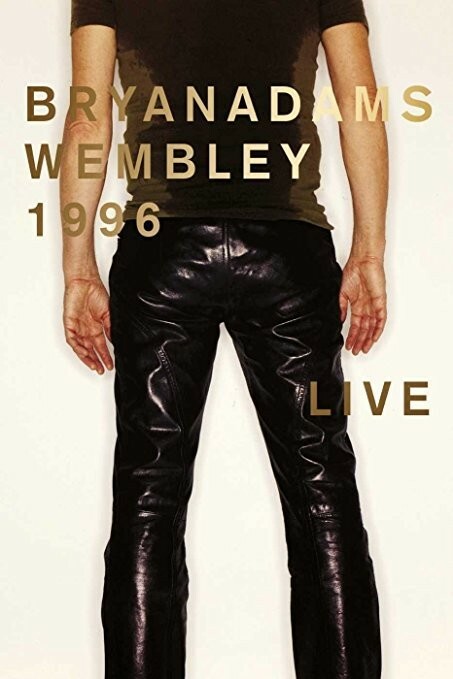 This two hour plus concert, in front of seventy thousand fans at the "old" Wembley Stadium on July 27th 1996 (during the '18 Till I Die' tour), features twenty-four songs and was one of the best Bryan Adams shows I've been to. With it being the '...Die' tour, seven selections from that were aired, but there was still plenty of time for a host of other Adams classics. It was also one of the last tours to feature the classic Adams five-piece backing band of Keith Scott (lead guitar), Mickey Curry (drums), Dave Taylor (bass) and Tommy Mandel (keyboards) – aided by Dave Cummings (percussion) – before he reverted to a three-piece a few years later. There are many highlights for me, including the crowd swaying and clapping during multiple numbers, a raucous 'Touch The Hand', the "na-na" participation during 'Cuts Like A Knife', Scott's constant wild antics (including licking his guitar, rolling around on the stage and rocking PA's), Melissa Etheridge's guest appearance for a fabulous 'It's Only Love', the appearance on a smaller stage to the rear and, of course, 'Run To You' and 'Summer Of 69' (complete with extended outros). The memories of 'Let's Make A Night To Remember' and 'Heaven' as a cool breeze blew through Wembley have stayed with me to this very day. Visually, the show itself is fairly minimalistic in terms of lighting and stage props, but that has always been Adams' way with the focus being on the performance and the songs themselves. The camera work includes lots of shots of the crowd, close ups of the band as well as wider angles, all edited in an enjoyable way without the schizophrenic cutting of many recent live DVDs. The sound is great with all facets clearly audible along with a crowd that is high in the mix. This is a fantastic memento of a great performance showing a band (and a crowd) having the time of their lives on the one of the biggest stages around. You can see the joy and fun of both band and the audience throughout. If you are a Bryan Adams fan, whether you were there or not, this is a fantastic document of one of the finest live performers around.